Can you infringe copyright by linking to somebody else’s work? In the United States, courts have largely answered “no,” relying on the fair use doctrine. According to a recent ruling of the European Court of Justice (ECJ), the answer in the European Union (EU) is also now “no,” at least so long as the link-targeted content is freely available to anyone on the Internet. 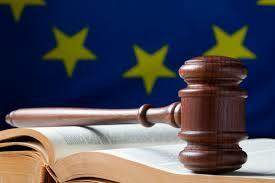 The ECJ was responding to a certified question from a Swedish appellate court. That court was hearing a copyright infringement case brought against an aggregator site called Retriever Sverige that linked to, among other things, articles from the Swedish newspaper Göteborgs-Posten’s website. Notably, the organization of Retriever Sverige’s own site made it difficult to determine whether a user clicking a link had actually accessed the newspaper’s website rather the aggregator’s. This was similar to the scenario faced by U.S. courts in Kelly v. Arriba Soft and Perfect 10 v. Google. But while those cases turned on fair use consideration, the ECJ based its ruling on the nature of Internet distribution itself. According to Article 3 of the European Commission Directive 2001/29, EU member states must “provide authors with the exclusive right to authorise or prohibit any communication to the public of their works, by wire or wireless means, including the making available to the public of their works in such a way that members of the public may access them from a place and at a time individually chosen by them.” This provision overlaps several exclusive rights granted under the U.S. Copyright Act, potentially implicating the rights of distribution, public performance or display, and digital transmission (for sound recordings). The Article 3 provision focuses more on communicative agency than control of any particular form of communication. As the ECJ put it, “every act of communication of a work to the public has to be authorized by the copyright holder.” This is in accord with European copyright law generally, which focuses more on an author’s moral rights in a work than on the economic incentive that underlies U.S. copyright law. The ECJ answered the Swedish court’s question by looking at the Article 3 provision. It considered the act of linking to be a communicative act, and thus subject to Article 3. Taken on its own, this would seem to doom unauthorized linking generally, which could have serious chilling effects on the blogosphere and the wider Internet. But, perhaps recognizing this extreme impact, the court considered whether the authors of the linked works had effectively already exercised their agency in making their works available to the public via the Internet. So long as the linking did not communicate the works to a “new public,” there could be no infringement. Put another way, once a copyright holder has authorized communication of a work to a particular audience, communicating the work to that same audience could not infringe under Article 3. The key to the case was that the original audience of the journalistic pieces linked to by Retriever Sverige was the entirety of the Internet. These were not gateway-controlled articles; nor were they privately distributed for a fee. These were publicly accessible articles, freely available to all via the Internet. The court found this effectively dispositive, as there could not really be a “new public” to which the articles could be communicated. The court specifically noted that the situation would have been different if the sites had restricted access and the links had circumvented those restrictions. This creates an interesting situation for online content providers. While U.S. courts have looked primarily at market impact and transformative nature in assessing fair use, European courts following the ECJ ruling must now consider the audience of the link-targeted works. If there are no gateway restrictions, the author has effectively released the work to the entirety of the Internet-connected world. Only if some restrictions exist will Article 3 (and its implemented analogs in the various member states) present a barrier to linking. It remains to be seen whether content providers will make greater use of potentially onerous gateways and member-checks in the wake of this ruling, or whether there might be other ways to effectively restrict a work to a preferred audience.